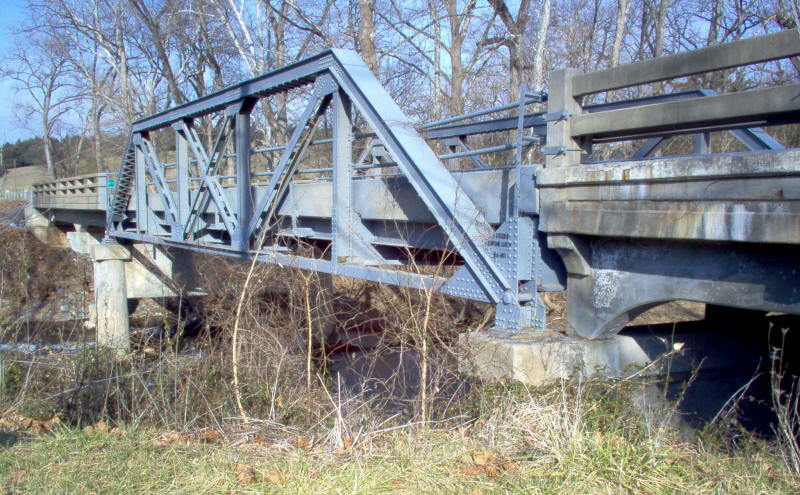 Notes: This was original VA 22 when built. 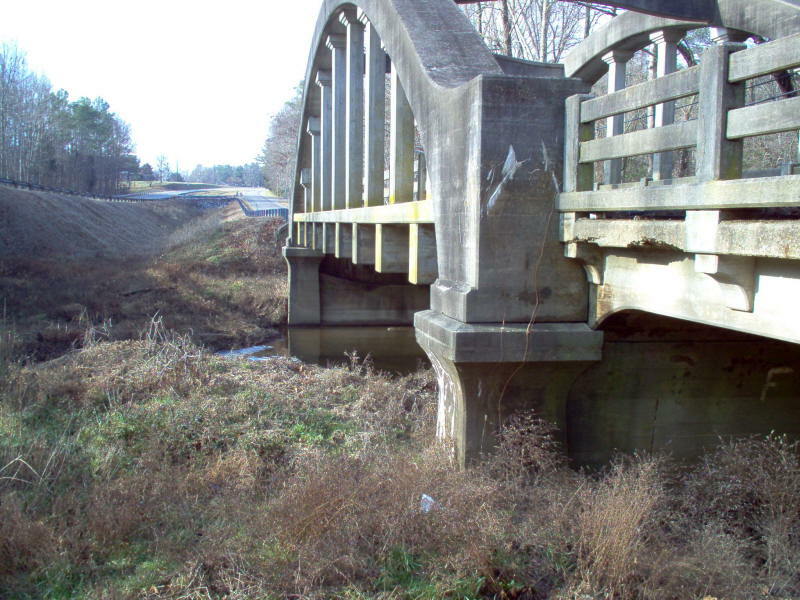 VA 311 was still using this bridge in 1936, but was moved before 1968. 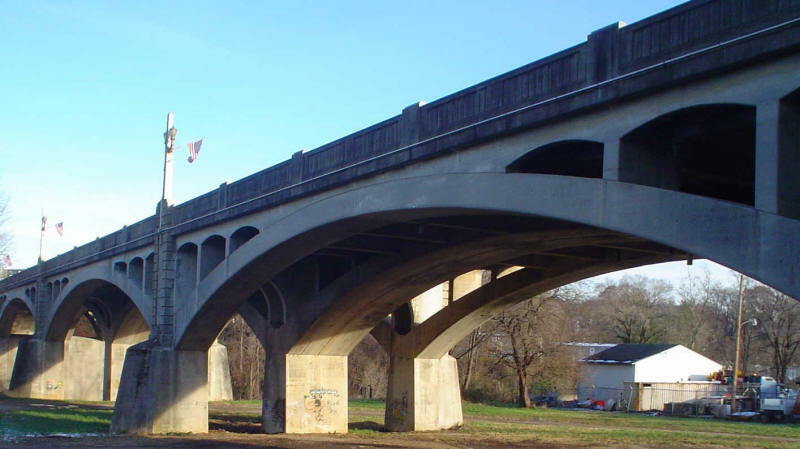 Notes: This was VA 10 when built. 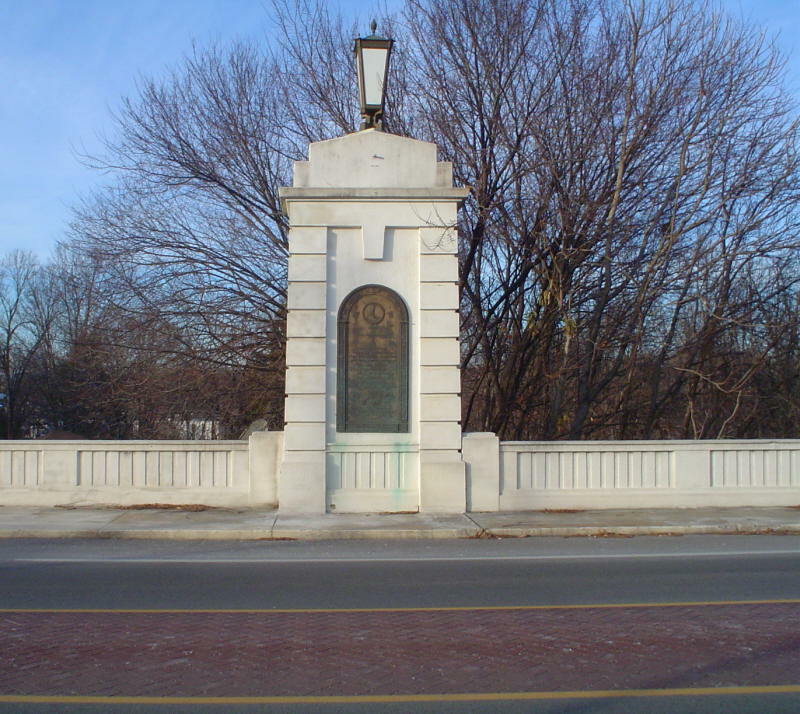 This is the earliest example of this tall, elegant style railing I know of. 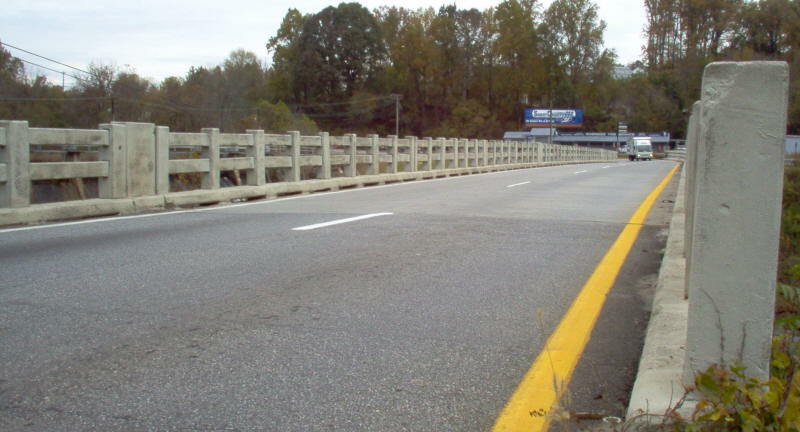 This style of railing was used on 2-lane and a few 3-lane bridges in Virginia from 1926 to at least 1945. 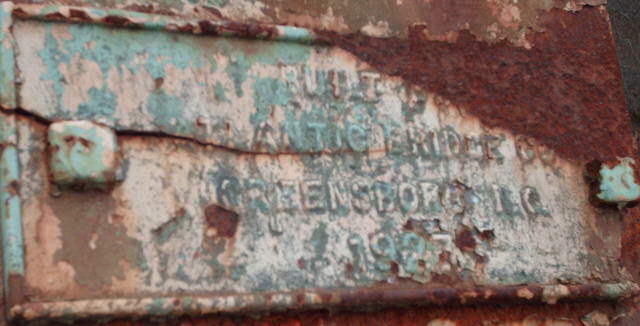 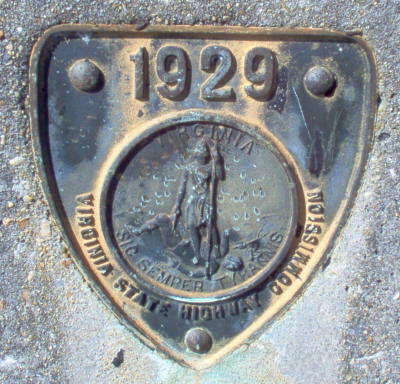 While the date plate says there is a 15 ton weight limit, the road has a posting for 20 tons. 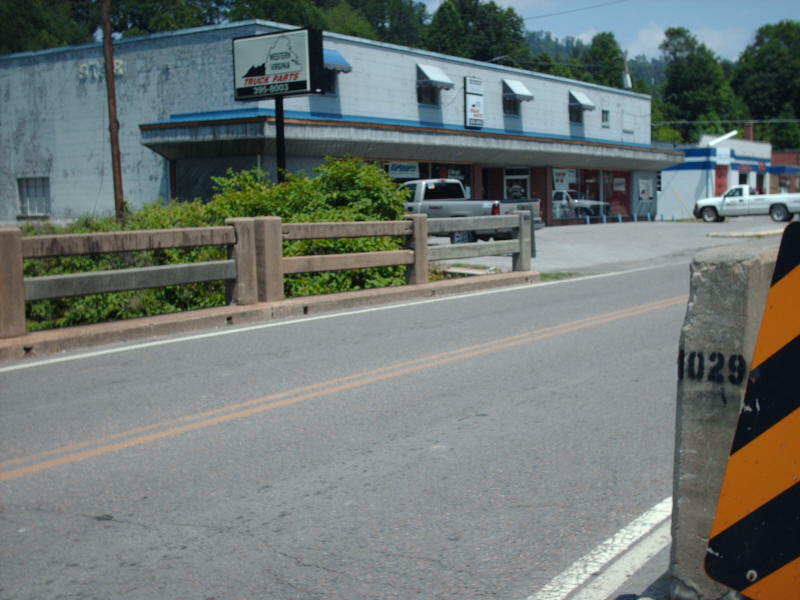 I don't think this has been part of US 11 for many years, but it remains open because there are a few houses on the other side that have no other road access. 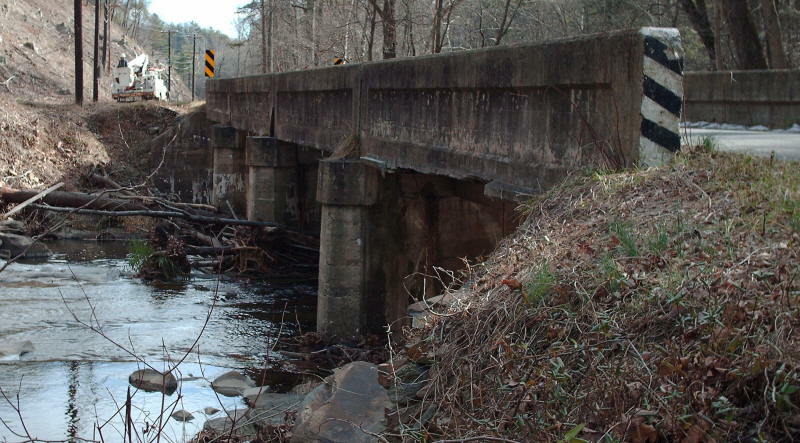 Location:SR 766 over Mill Creek in Hamburg. 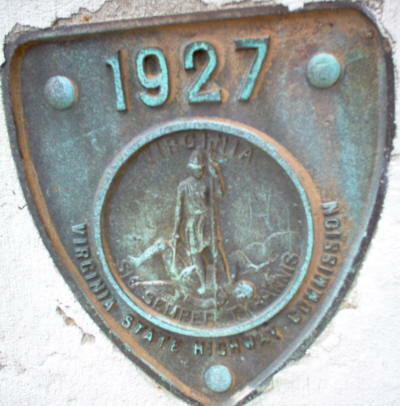 Notes: This was Lee Hwy, VA 21, when built. 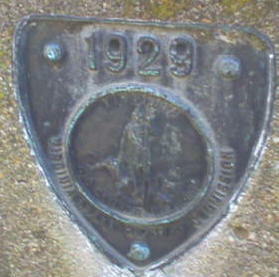 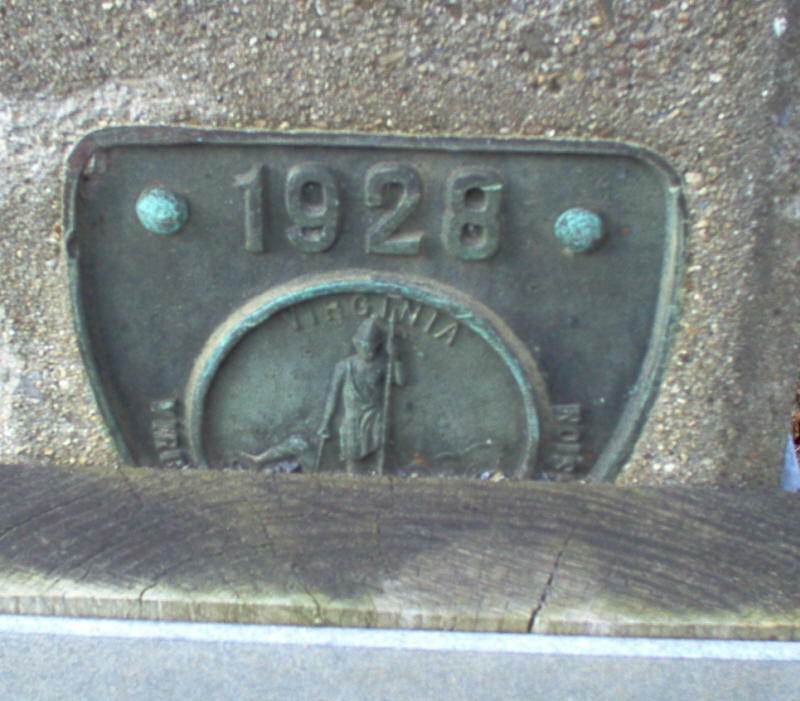 1925 is the earliest known date to use the shield-shaped date plates. 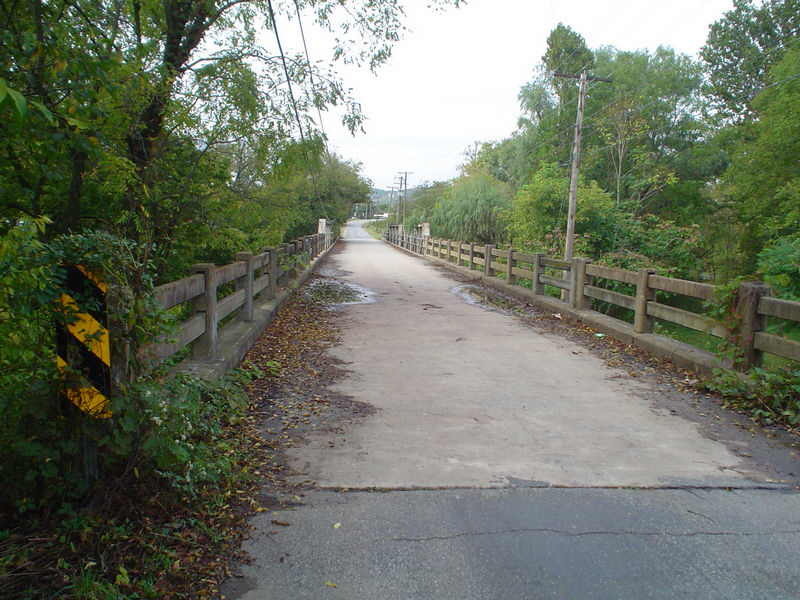 Just up the rise from this bridge (pic 3) is US 211. 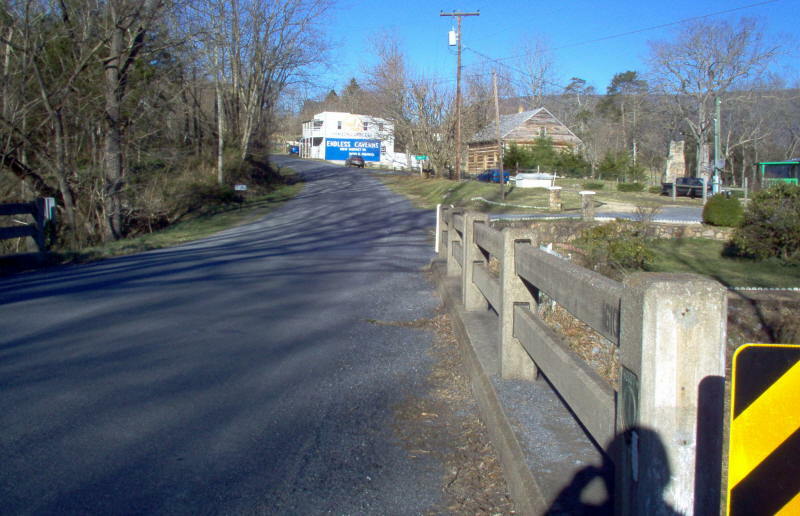 The Endless Caverns ad on the store wall ahead is interesting as this is only 3 miles from Luray Caverns. 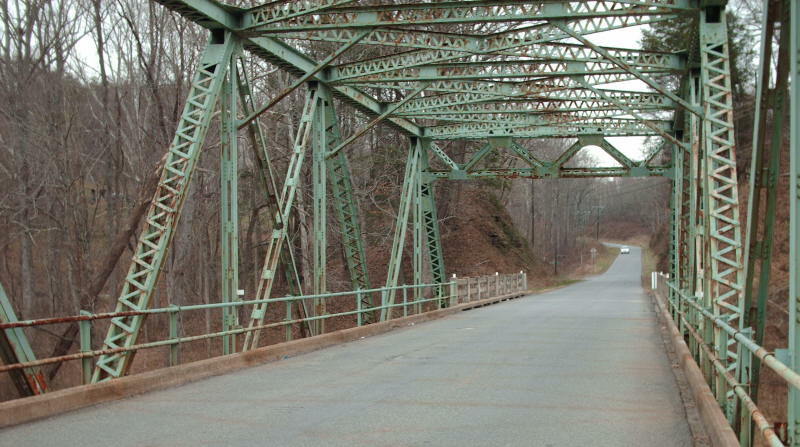 Notes: This bridge carried VA 11 when it first opened. 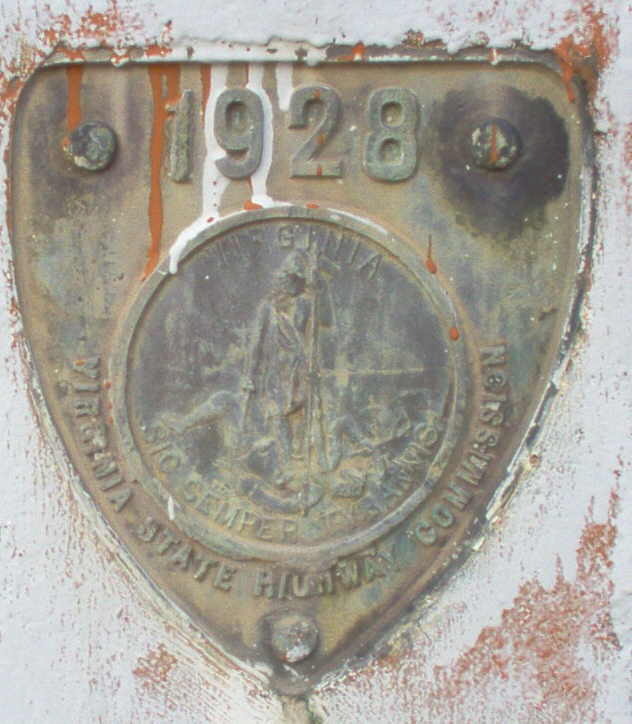 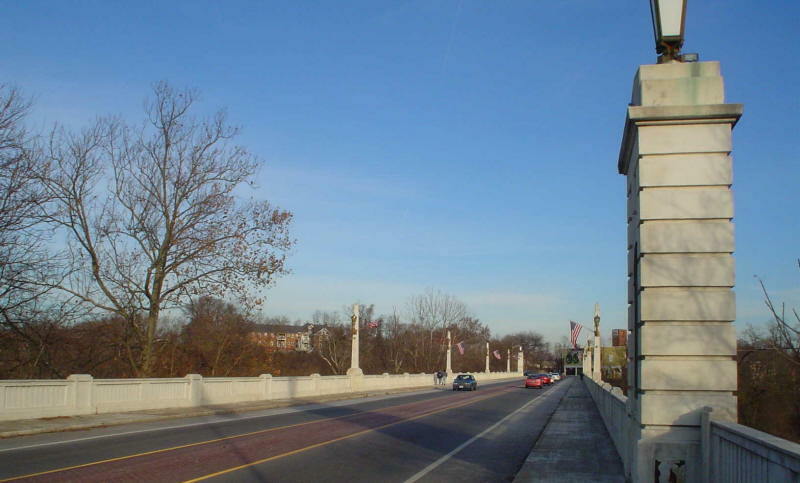 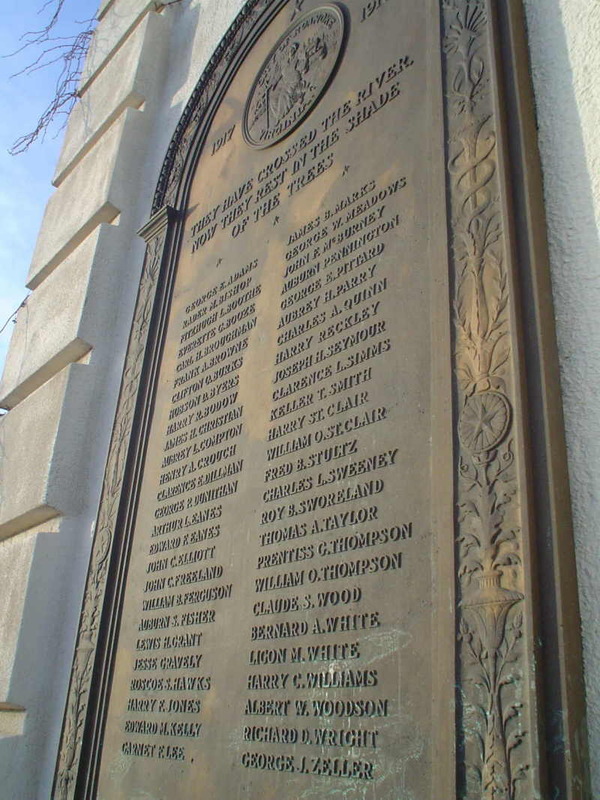 Notes: When built, this was VA 10, and was dedicated to WW1 veterans "Memorial Bridge." 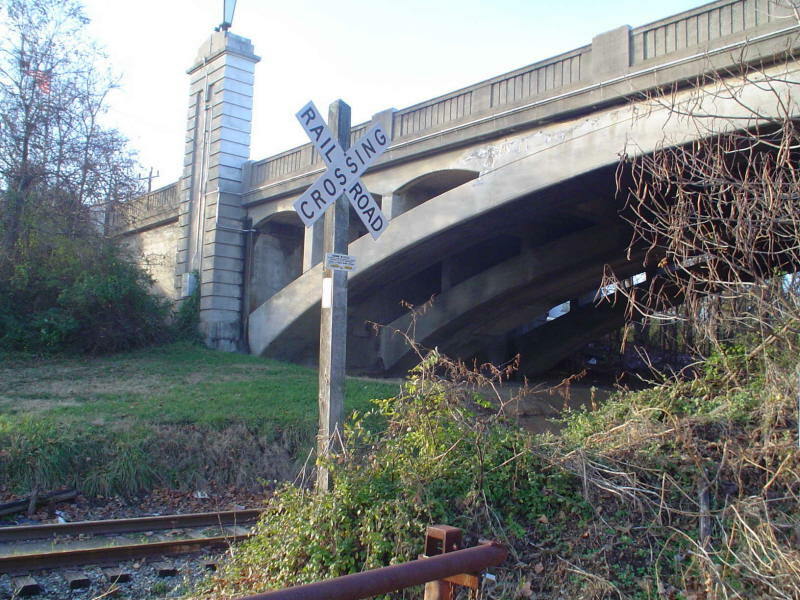 This bridge connects SW Memorial Dr to SW 13th St. A site dedicated (Author: Twig Gravely) to documenting pictures of Roanoke's past has a picture of the underside from years back here. 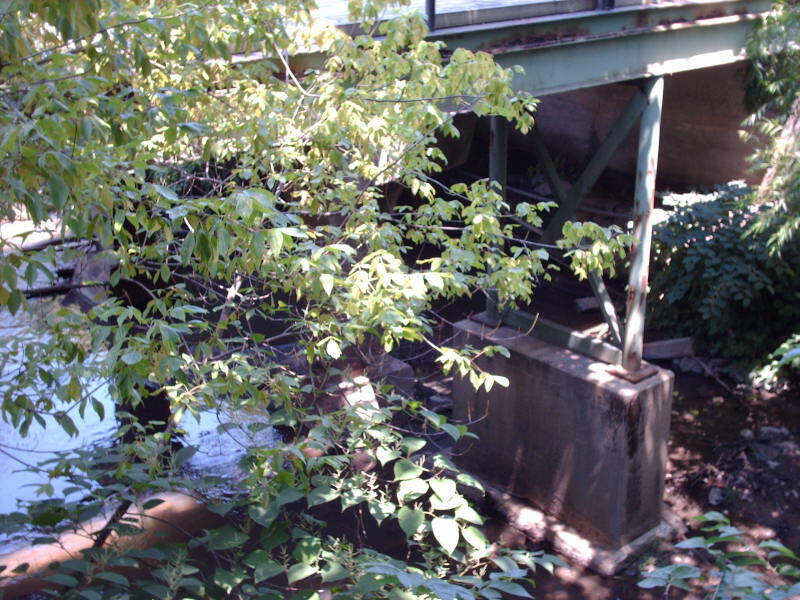 Scroll down to the third picture at this link to see this bridge under construction with the older bridge in use nearby. 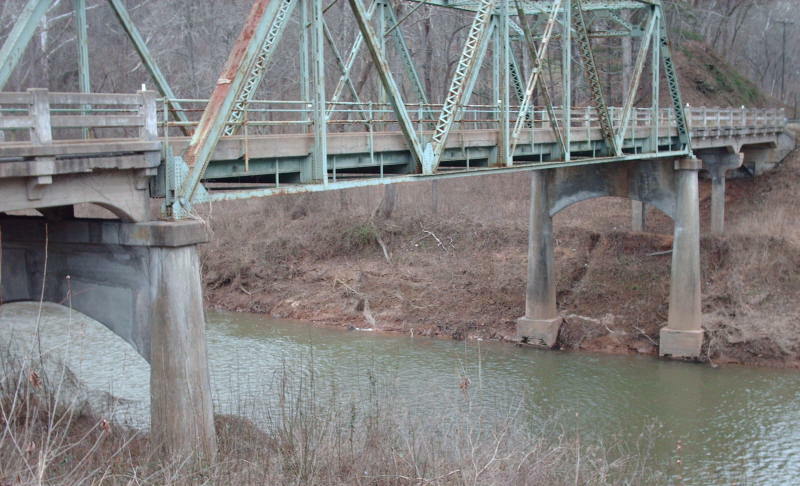 This page shows the original bridge in a 1908 picture. 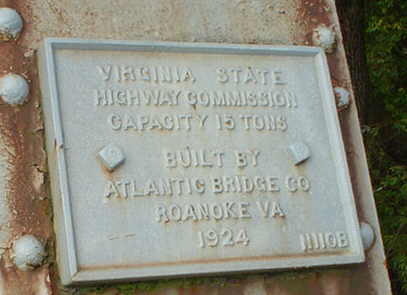 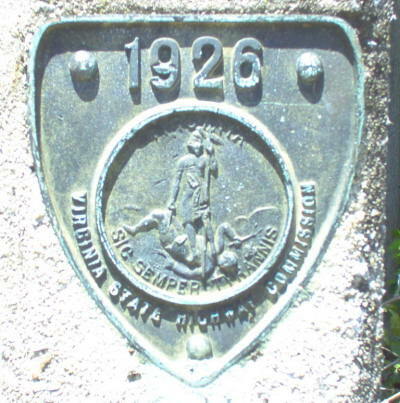 Notes: When built, this was VA 10, and is about a half mile south of the 1924 bridge shown above. 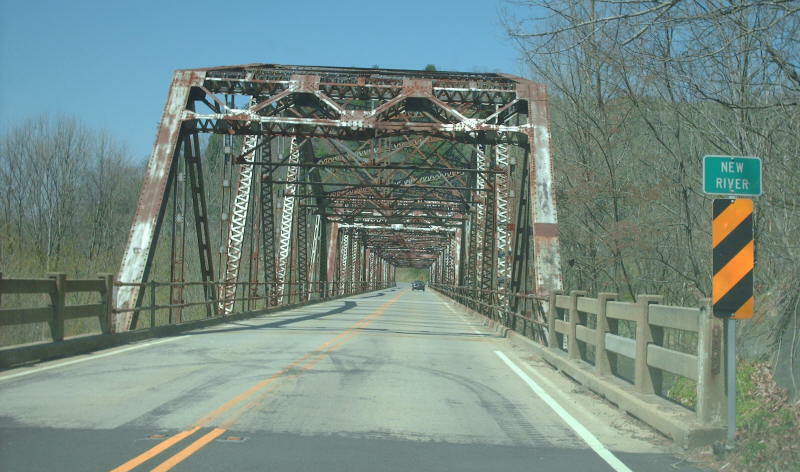 This was US 11 until the mid-40's, I believe. 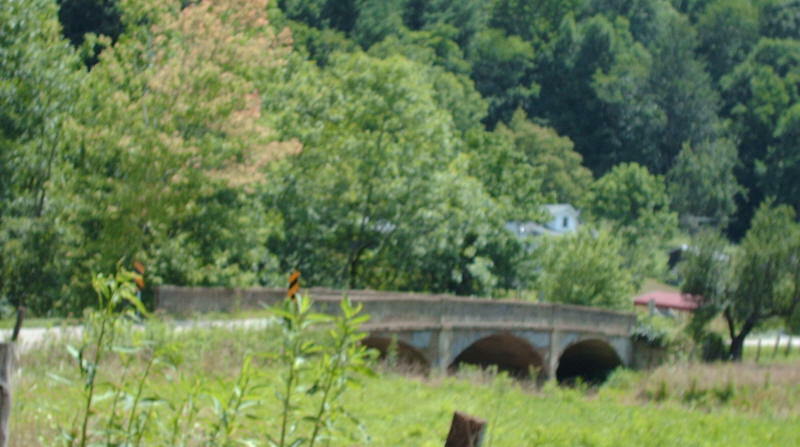 Notes: This is a gorgeous arching bridge. 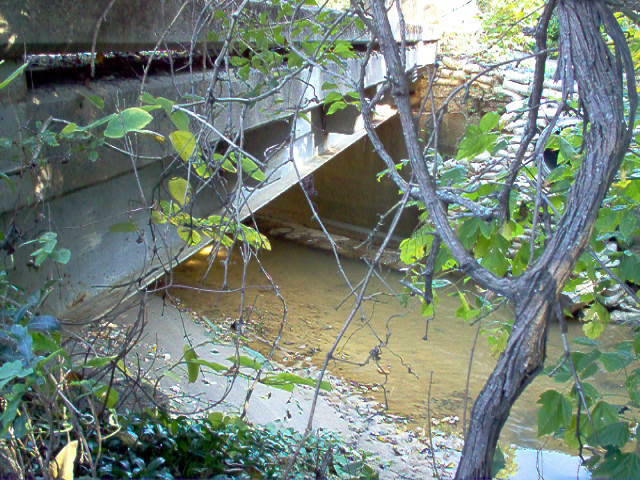 The supports under the roadbed and over the arches have the same shape as the regular pier supports on other bridges of the era. 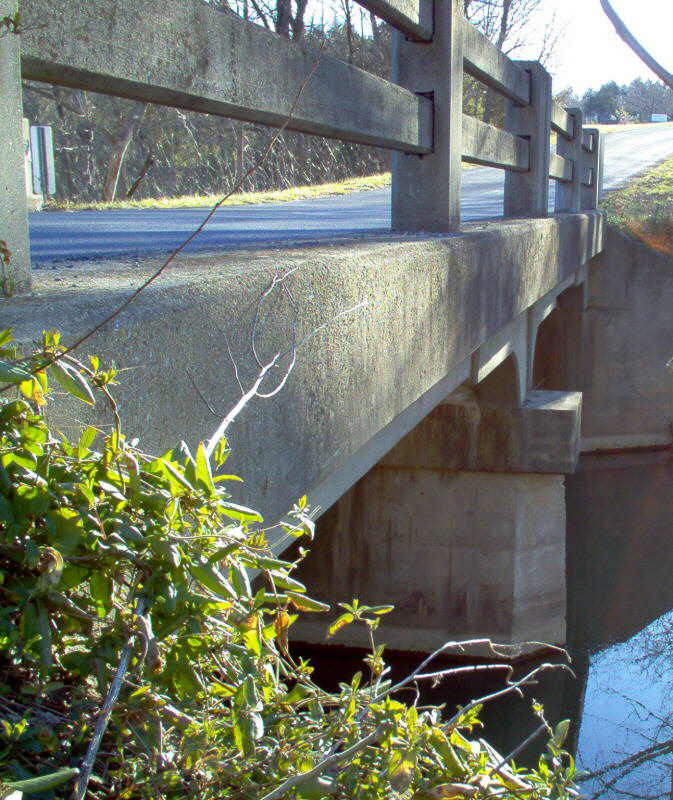 When this bridge was built this was US 311 and VA 12-33. 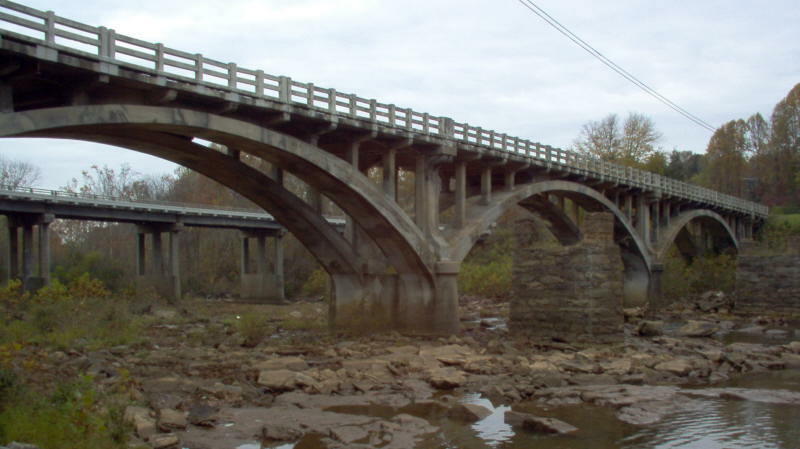 Notes: This bridge contains a rainbow arch feature in the center. 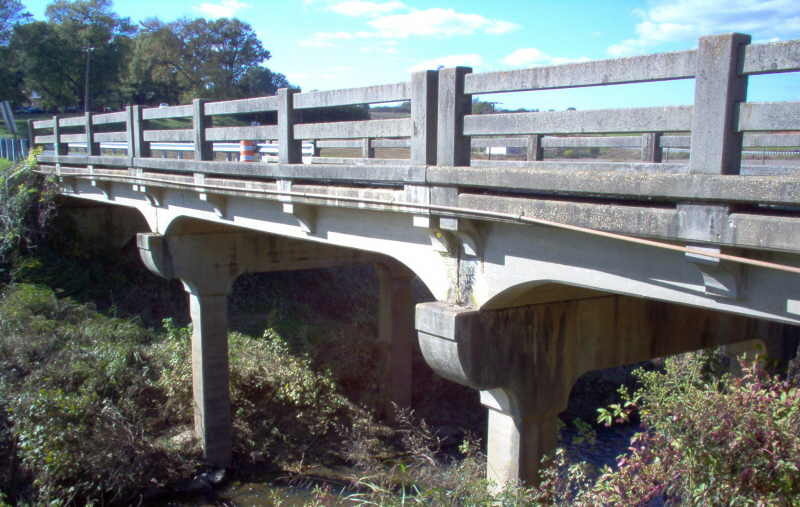 When this bridge was built this was VA 31. 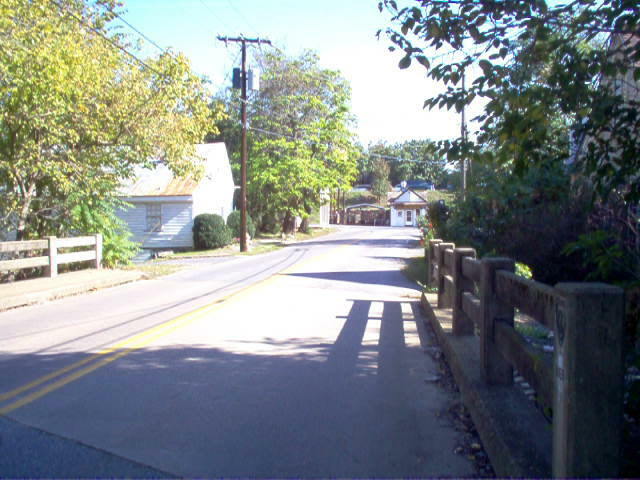 Notes: "Warren with Verticals and a polygonal top chord." 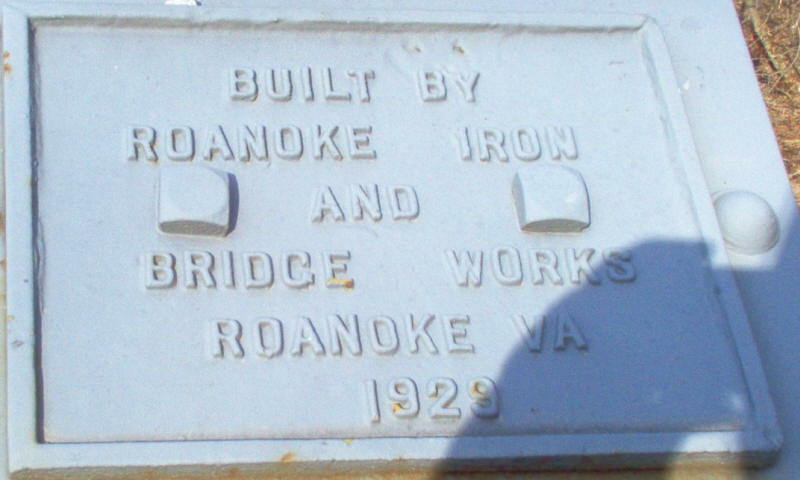 This was original VA 12 when built. 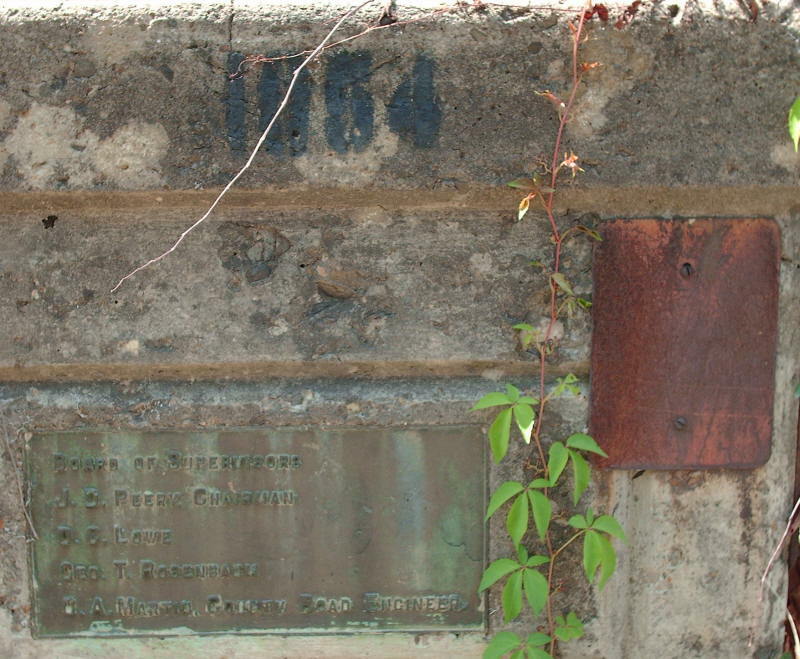 When I drove over this I found the data plates gone. 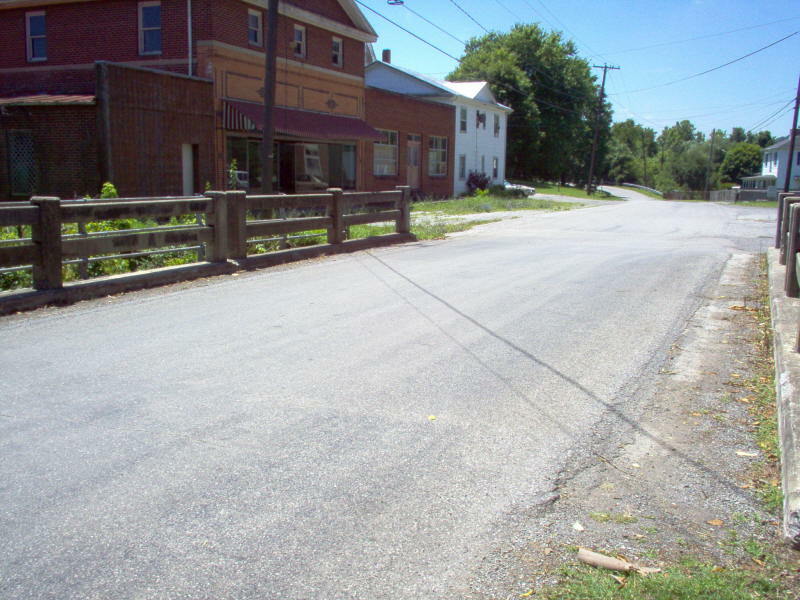 Photo: Mapmikey, taken 7/16/06; 4/14/07. 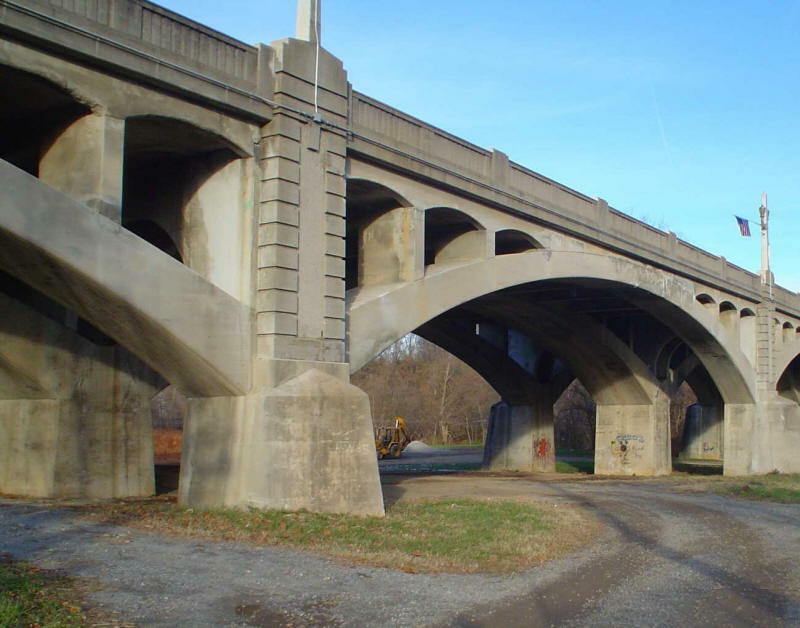 The Historical Bridges site has a photo of the underside of the bridge up close. 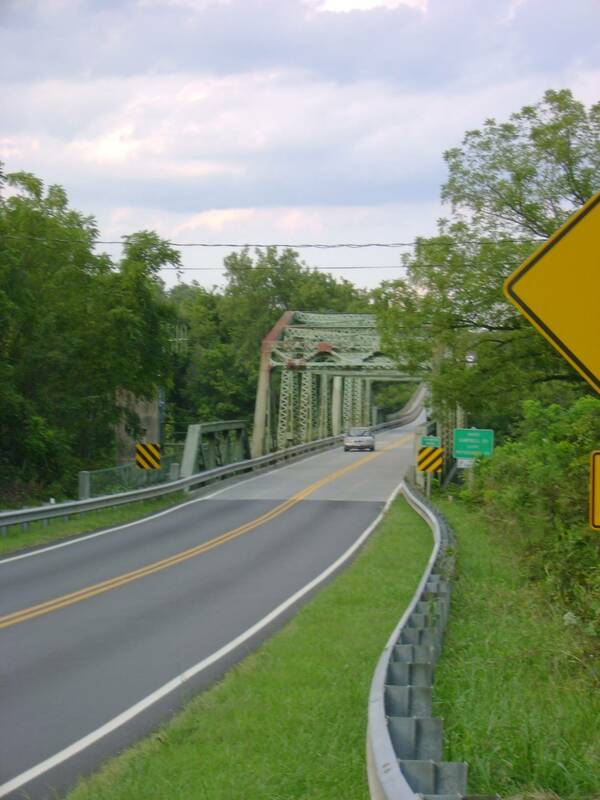 Notes: When this bridge was built this was US 170/VA 14. 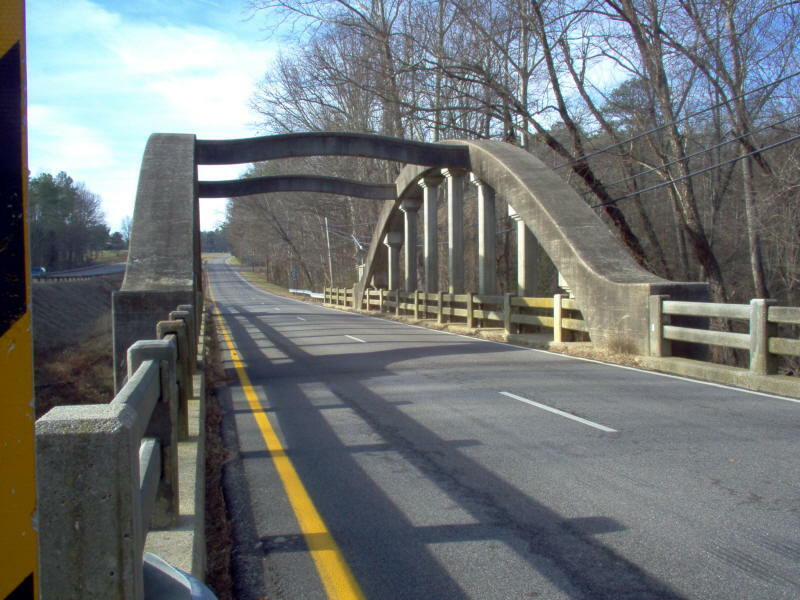 This was part of US 29 Seminole Trail until 1953. 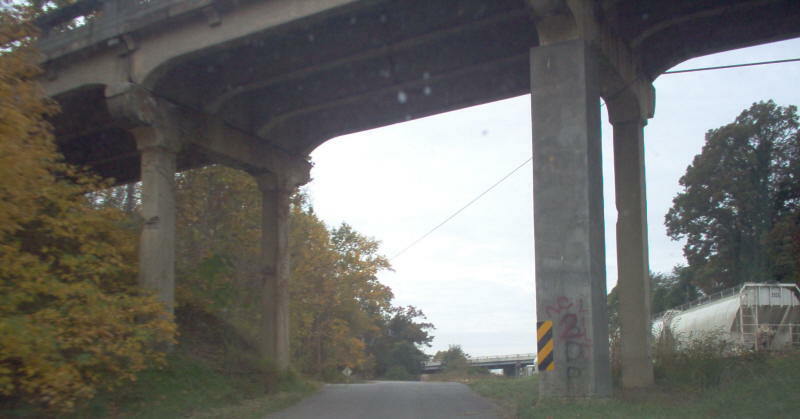 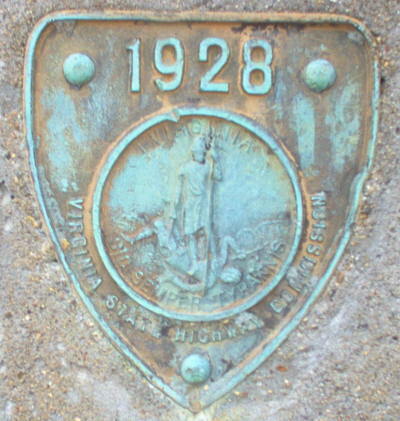 The modern US 29 can be easily seen from the bridge, while the 1927 bridge is easily seen from US 29. 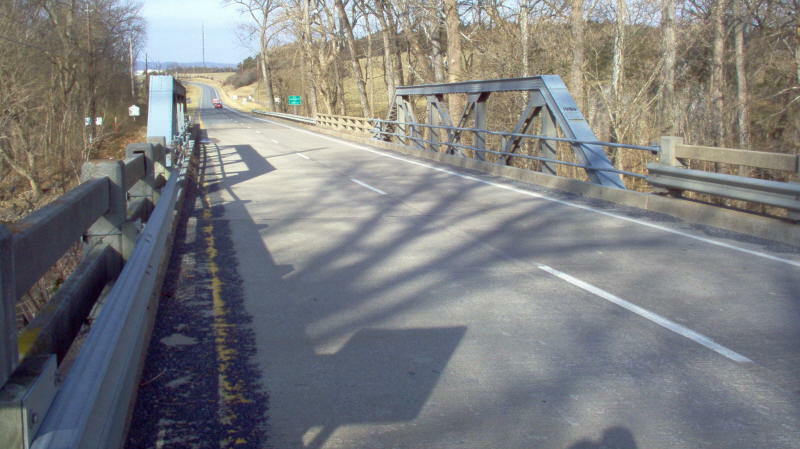 Notes:When built, this was US 50/VA 36. 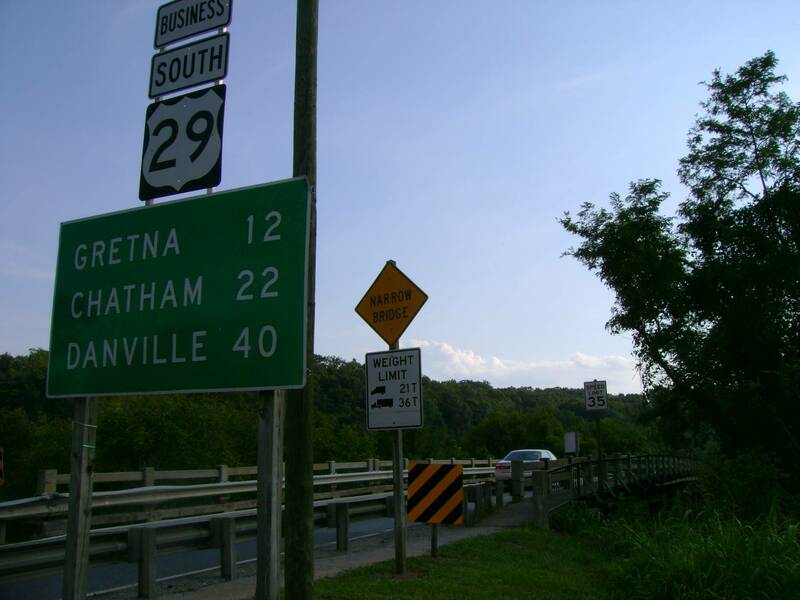 Notes: This was US 17-1/VA 24 when built. 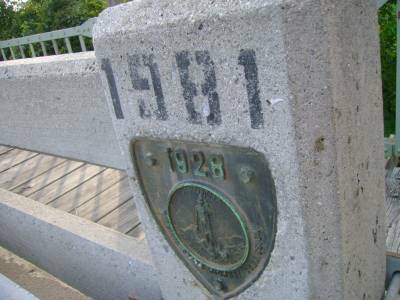 The railing on this bridge has been recently refurbished, which gives an idea of how this bridge looked new (minus the I-95 southbound lanes just next to it). 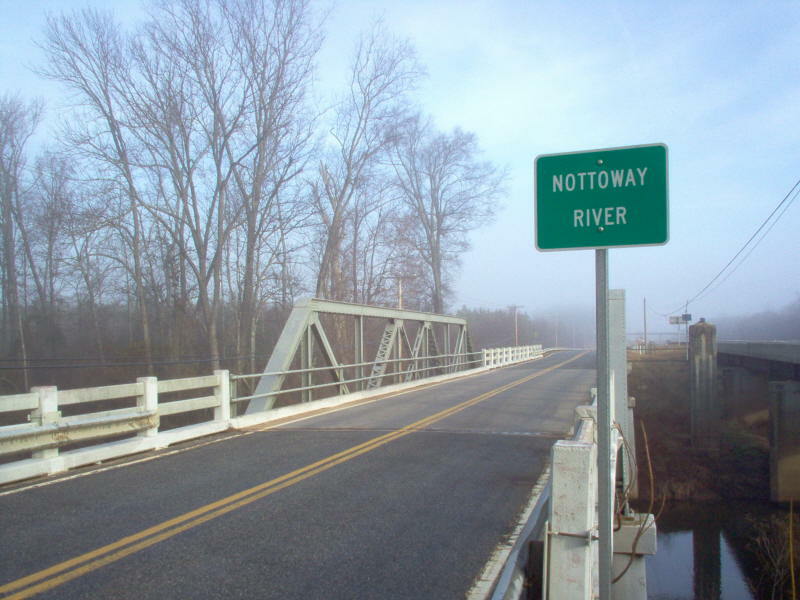 Notes: This is a strange bridge. 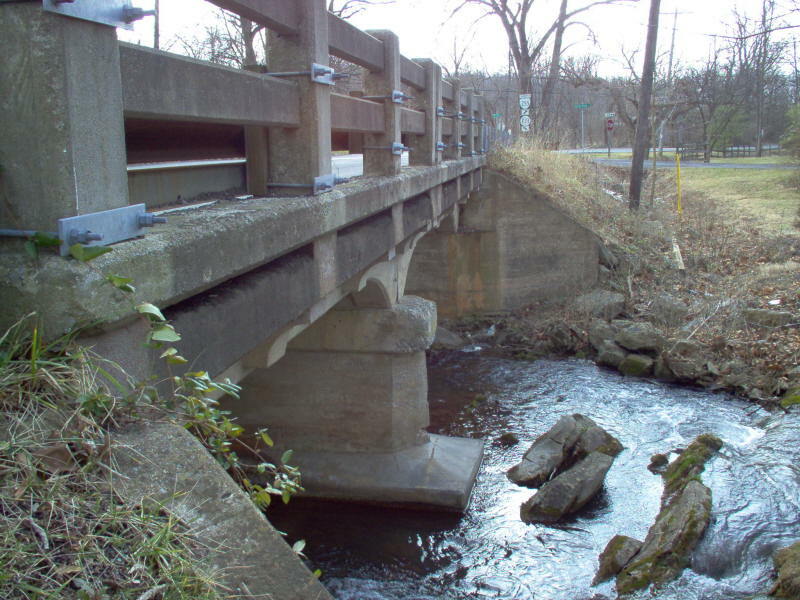 The supports under the roadbed has the same shape (with additional squaring presumably for additional strengthening) as the regular pier supports on other bridges of the era. 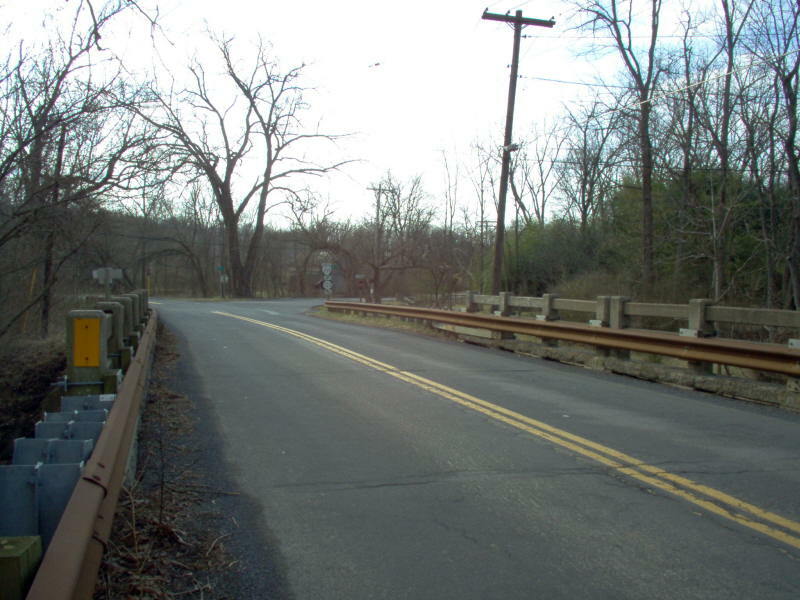 However, the railing suggests a widening in the 50s or 60s. 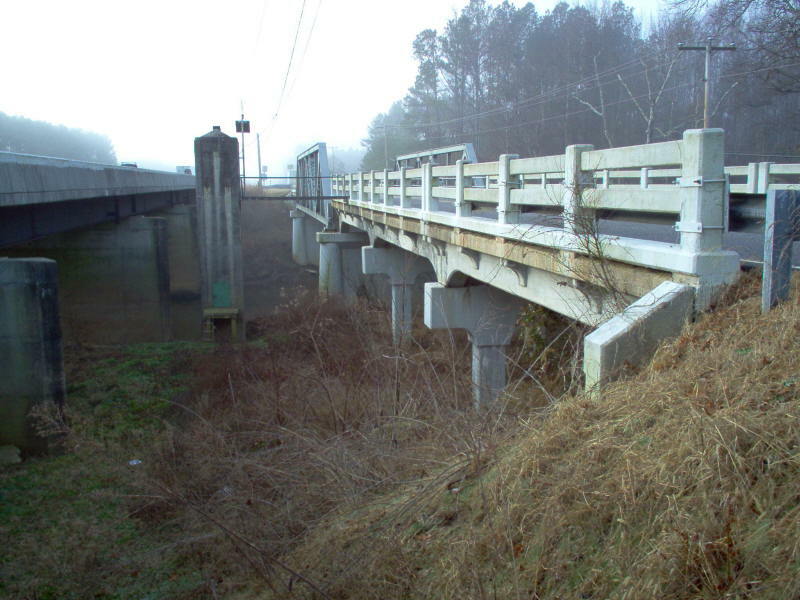 When this bridge was built this was US 311 and VA 33. 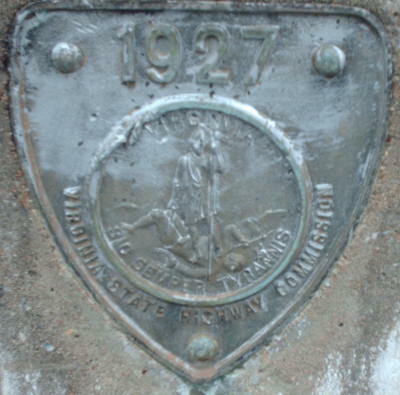 Notes:When built, this was US 170/VA 14. 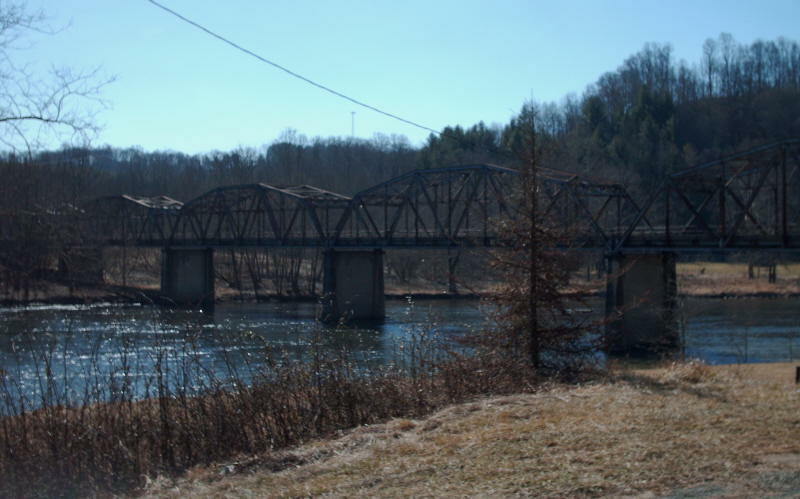 Unique in that it crosses the Staunton River at the southern end, and then goes "uphill" to cross the railroad tracks and meet the bank at the northern end. 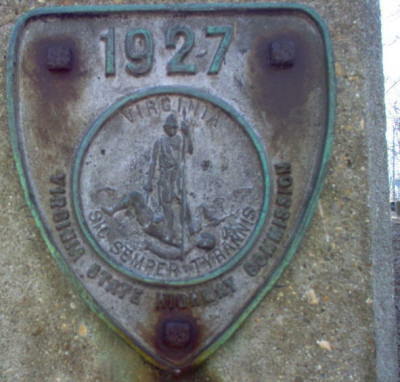 Notes: When built, this was VA 38, then later VA 17. 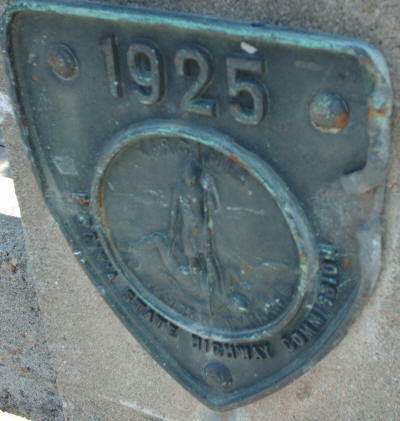 The end of the road just ahead (SR 607) was US 1 until 1945. 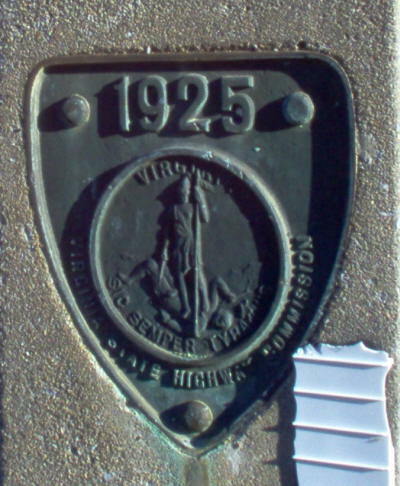 Notes: When built, this was also still VA 33. 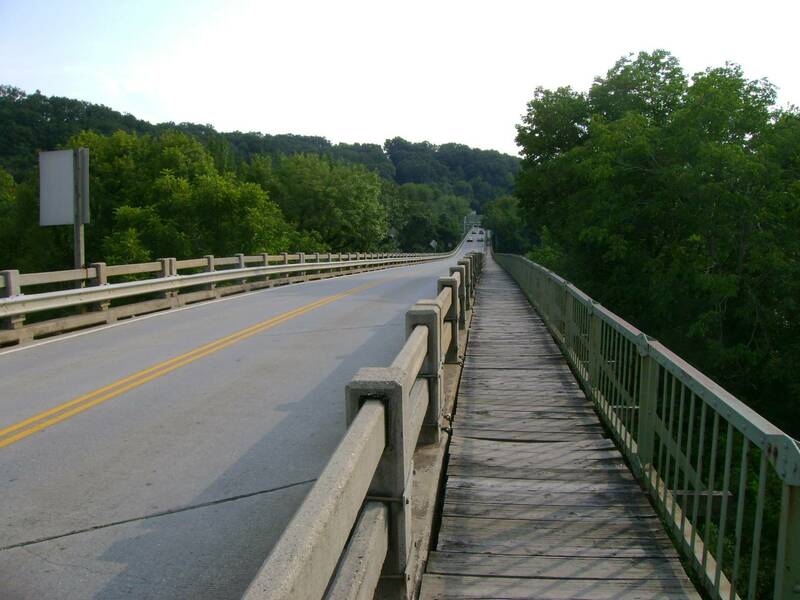 The south end of the bridge has had its railing replaced. 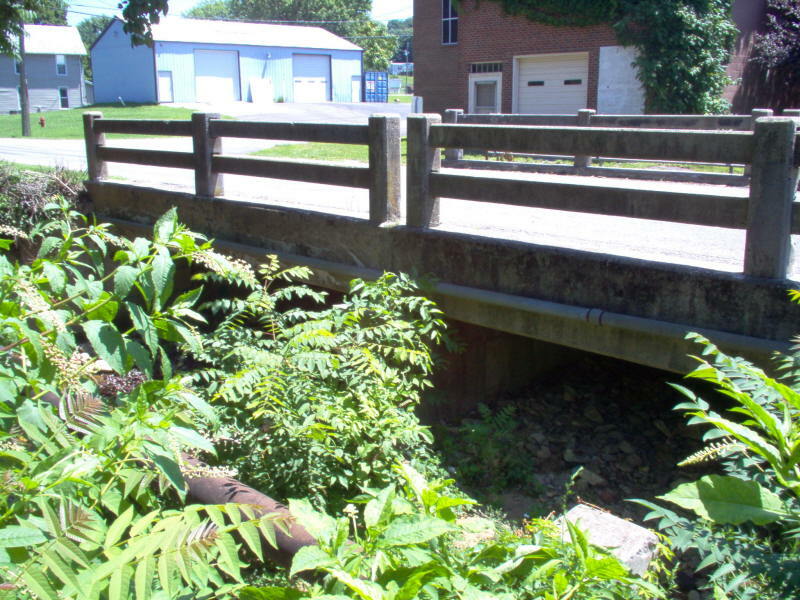 Notes: This is on the grounds of the Powhatan Correctional Center, and may well be the oldest bridge on a VA 3xx route. 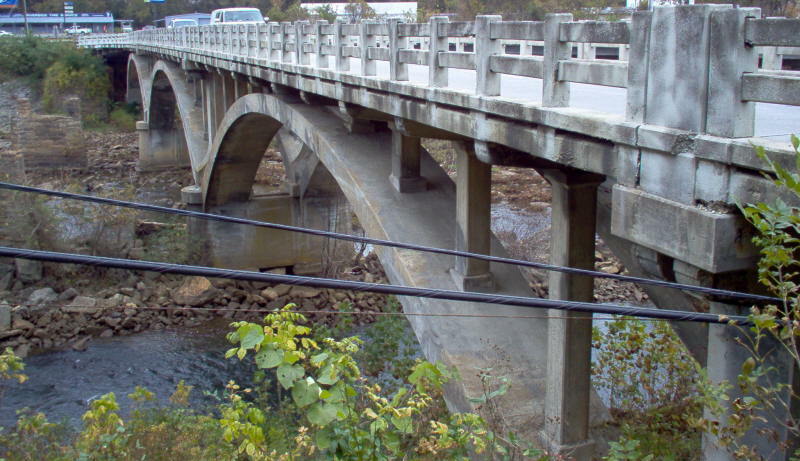 When this bridge was built this was VA 19.